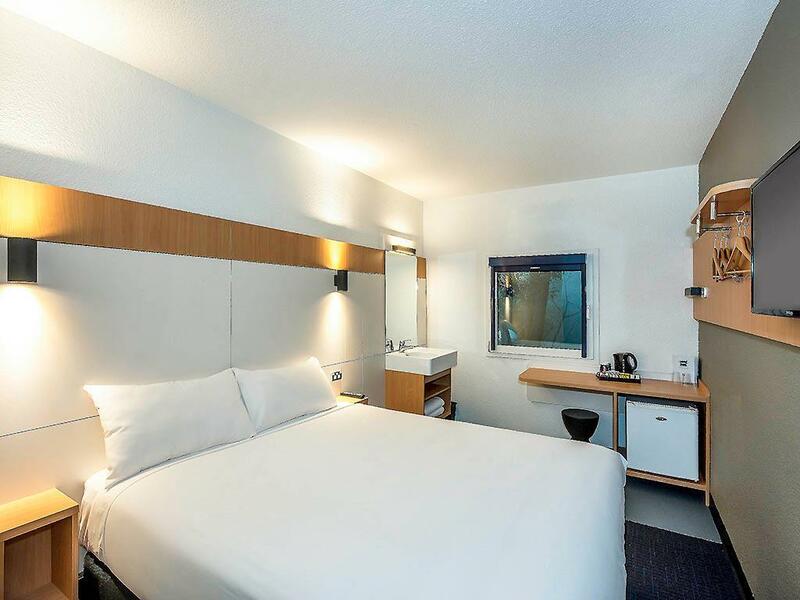 عندما تزور هذه المدينة رائعة الجمال، ستشعر أنك في بيتك في ibis budget Enfield الذي يقدم لك إقامة متميزة و خدمات عظيمة. يحظى هذا الفندق ذو 2 نجمات بمكان ممتاز يسمح بالوصول إلى المعالم السياحية الأكبر في المدينة، فهو يبعد مسافة 12.5 km عن صخب المدينة. كما يمكن الوصول بسهولة إلى عدة معالم سياحية قريبة. إن حسن الضيافة والخدمات الراقية التي تعرف بها Accor Hotels تغني تجربتك في ibis budget Enfield. يقدم الفندق فرصة للاستمتاع بشريحة واسعة من الخدمات بما فيها: خدمة التنظيف يوميًا, مجهز لذوي الإحتياجات الخاصة, مرافق مخصصة لذوي الاحتياجات الخاصة, تخزين الأمتعة, واي فاي في المناطق العامة . استمتع بوسائل الراحة الراقية في الغرف أثناء إقامتك هنا. بعض الغرف تتضمن سجاد, رف للملابس, بياضات, مناشف, اتصال لاسلكي بالإنترنت لمساعدتك على استعادة طاقتك بعد يوم طويل. صممت خدمات الاستجمام في الفندق والتي تتضمن مسار جولف - ضمن 3 كم, حديقة لمساعدتك على الاسترخاء والراحة. إن كنت تتطلع إلى إقامة مريحة وهادئة في المدينة، فستجد في ibis budget Enfield بيتك الثاني. Pros: - Good restaurants nearby - Open car space - Friendly staff members Cons: - The room and the bathroom stink so much. We had to buy an air freshener, which did not work really well. - The bathroom is tiny. - Dust on the shelves, table and chair. The staff were very helpful, well located for public transport, clean rooms. We were pleased to have this accommodation. It made our Sydney stay as a family of 6 very affordable even though we had to have 2 rooms. The staff were very friendly and they even let us leave our cases there on the day we checked out so that we didn't have to lug them around all day before flying out at night. Even though it is located on a busy street we found that there was very little noise. It's cheap, budget but hey it was a roof over our heads & bed to sleep on. Thanks Ibis Enfield! Convenient to stay around strathfield. It was a nice room very clean and it had everything you need without all the added fluff you pay an $100 at least a night for. The cups supplied were cardboard takeaway cups but so what they were large not like the small ones you get in other motels & good brand coffee was supplied replenished daily & new cups were also supplied daily. The bed was magnificent the best I have ever slept in a motel. The bathroom wasn't very big but it was big enough to have a shower & go use the toilet I didn't need anything bigger. TV was good quality. They say you get what you pay for but in this case you get a lot more than what you pay for, excellent. This hotel is way too far from the city, you could say" in the Boonies", lucky if you have somebody at the front desk to help you. no elevator. when you check out in the morning, you have to throw your hotel card through a metal fence because there's nobody at the front desk. We were booked for 4 nights, but checked out after one day because we were not happy with the hotel. For A$134.00, it was certainly no value for money with the very small room and poor bath facilities. One counter staff was not customer friendly. I think the rate should be A$34.00. 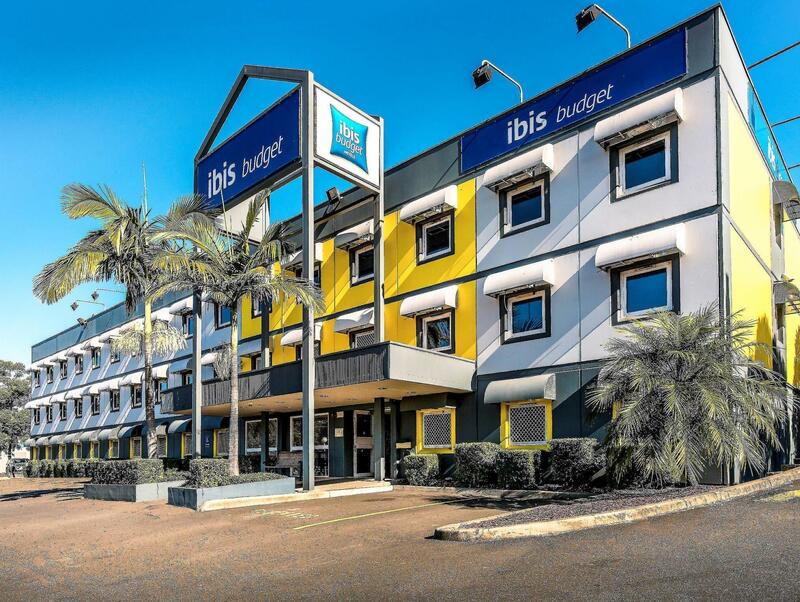 We always try to stay at Ibis when in Sydney. Rates are good. Location is good. Ample parking. Don't expect 5 star luxury. All we are after is a comfortable bed and somewhere close to where we want to be. Small room. Although they have bunk bed, not recommend to stay 3 person unless you r backpackers. No escalator, end up my brother have to piggy back my old grandma to her room at 3rd floor. Luckily we manage to change the room to ground floor on the following day. 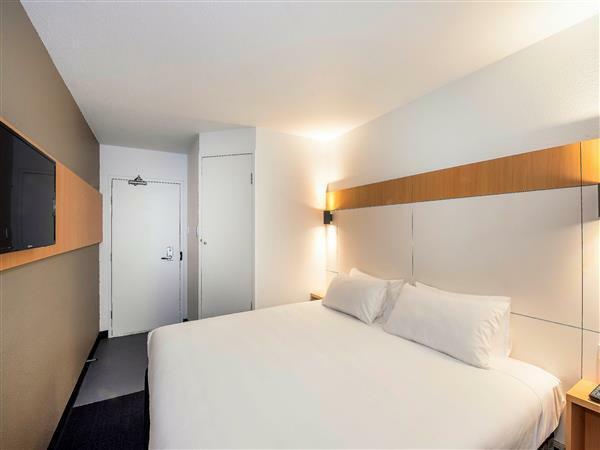 For a budget hotel (approx. $70/night), great value for money. 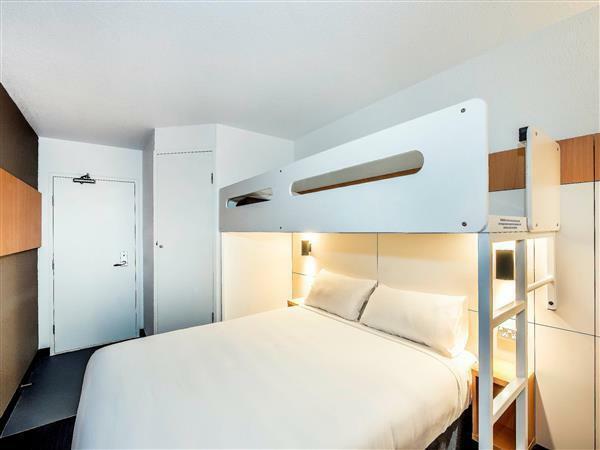 Bed was huge, convenient location with car park and nearby amenities including petrol station, fast food restaurants etc. Despite being located next to a busy road, surprisingly there wasn't much noise. Minor improvement would be having an additional sink and an exhaust fan in the bathroom, as well as power points closer to the desk. Stayed 6 nights. After first night they did not clean or make up the room. After next 5 nights they did clean and make up room but never changed the sheets. Extremely noisy hotel from air conditioning switching on and off from neighboring rooms. Plastic cups only for tea and coffee. Ibis have been my favorite choice when i travel oversea. We arrived very late, the friendly staff left the key in a safe place and messaged us how to check in. Very good location, enough car spaces and friendly staff. I had no idea, when i booked that the room was going to be so tiny. A shower in that tiny cubicle was scary. It would be fine, I guess if you were only there for a few hours, but it is definitely a TINY room. I payed the same price as I usually pay for a normal size room, so I wasn't happy. The room was a good bargain at half the nominal price, but I wouldn't want to pay full price. The room was very small, double bed takes up most of it, bathroom very cramped. Very basic, but clean. My room was up 2 flights of stairs, no lift. Basic breakfast was included, but nearby meal options are otherwise limited to fast food outlets. Checked in a bit earlier and saw that the room wasn't ready. The housekeeper was in the corridor so I thought she would get to my room soon. Left the place and to return (after reception hours, unfortunately) to find that the room was not made FML. Always a pleasant sight to see dirty towels and sheets after a long day for a room I paid $300+ for. I couldn't be bothered to even talk to the people the next morning, took my own clean towel from the housekeeping trolley while the housekeeper looked on nonchalantly. The only plus point was that the reception staff was friendly, the brief few minutes I've talked to them at least. Location wise, was alright for me, though definitely need a bus to get here from the train station, and the bus does not run past 8pm. We stayed for two night and some how the second night our room wouldn't open so i went downstairs asked the receptionist why we got locked out with our suitcases still in the room. Apparently they have booked us in another room but the receptionist lady said it's okay to stay in the same room. So she made us new key cards to get into the same room. It worked!. We went out for dinner and came back after hour no body was working we managed to get inside the building but the key card wouldn't work on our door. Luckily mum was in the room to open the door for us otherwise we would have been locked out. While we were away, some body entered the room and left as he saw mum was in the room. She didn't feel safe and was not happy.